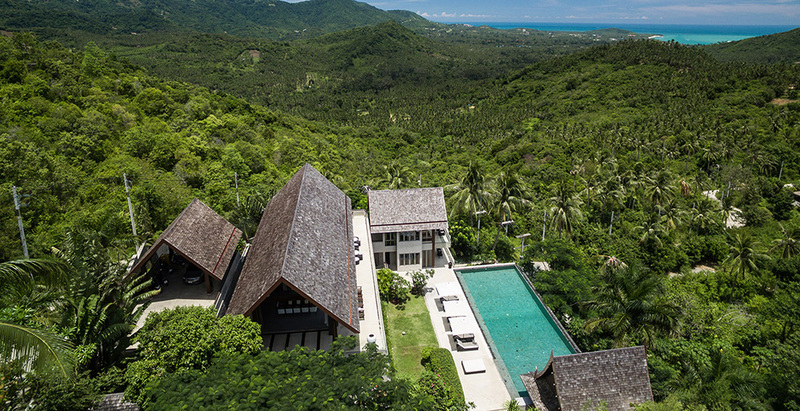 Villa Suralai is a Thai-style six-bedroom property located on Bophut Hills, north coast of Samui. The villa houses six bedrooms, all of which are appointed with a king bed, ensuite bathroom and enjoys either pool, ocean or mountain view. At the centre of the property is a 25m pool with a Thai-style sala on one end. This fully-staffed villa is equipped with gym, modern entertainment facilities, show kitchen with breakfast bar and barbecue facilities. A team of staff including a villa manager, resident chef, housekeepers, service staff and security are available to take care of guest needs.